With investing, sometimes just getting started is the hardest part. M1 Finance solves that problem. M1 combines a a free account, zero commissions and trading fees, easy-to-use defaults, and no minimum balance in a great robo-advisor which also allows you to override and customize investments where desired. Using M1’s easy portfolio allocations (including amazing default options), you’ll be ready to invest in almost no time. Advanced users can borrow money cheaply using their portfolio as collateral, or try M1’s checking account or advanced paid features. M1 Finance is a combination of a robo-advisor and a traditional brokerage. Like other robo-advisors, M1 presents a number of default themes, called “pies”, which have a default allocation between different securities. Unlike other robo-advisors, it also allows you to set up your own custom allocation while keeping other great features such as the free re-balancing and trading. M1 Finance was founded in Chicago, Illinois in 2015 by CEO Brian Barnes. Barnes envisioned a platform which let you set an allocation one time and automatically followed your directives, avoiding the drag of “idle cash”. Before today’s proliferation of cheap robo-advisors and brokerage accounts, investing every paycheck meant paying commissions for every position you held and wanted to add onto. It’s safe to say M1 Finance hews to its founder’s original vision. M1 is currently still headquartered in downtown Chicago. They took a Series A round in 2018 for $11.2 million, and have raised $20.2 million in total. At they end of 2018 they had over $500 million in assets under management. How Does Investing with M1 Finance Work? A taxable account Pie I created. Note the backtested return and expense stats. 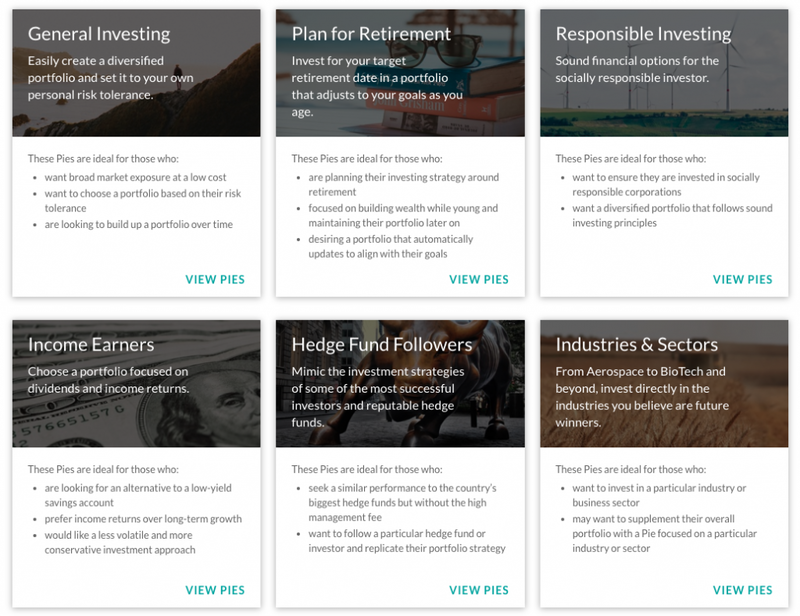 By default, M1 Finance offers investors curated portfolios which they call “Pies”. Investors in Pies gain the benefits of expertly chosen stock and ETF allocations based on goals and other benchmarks. Goals might include a conservative allocation, while benchmarks include funds and fun such as following hedge funds’ or Warren Buffett’s filings. Going against the grain of other robo-advisors, M1 allows you to set your own asset allocation by designing your own Pies. You can choose ETFs or Stocks in any proportion, and are free to change your percentage allocation at any time. When you make a deposit to M1 Finance, they automatically allocate your funds to best approach your choice of allocation. In practice, this means that your deposits will be heavily weighted towards bringing lagging asset classes into alignment with your winners. If you have a target allocation of 30%/70% bonds and stock which is now 20%/80%, your deposit might go 100% towards bonds. In a down stock market this would flip 180 degrees – M1 would then purchase more stock while the market is down. The opposite scenario occurs when you withdraw funds from your M1 Finance account. In this instance, M1 would sell assets which are overweight to your target Pie. What’s the trick to this flexibility? M1 Finance allows fractional shares. With fractional shares, you don’t need enough cash to afford a full share of a stock or ETF. M1 Finance will allocate as little as 1/100,000th of a share when you make a purchase. This approach helps you avoid the drag of idle cash in the account. Who is M1 Finance Best For? If you – like all of us did at one point! – have anxiety about starting investing, M1 Finance is an incredible choice. Create an account, select one of the default Pies, then start investing money on a schedule. That type of low-friction experience will give you the confidence to keep investing. 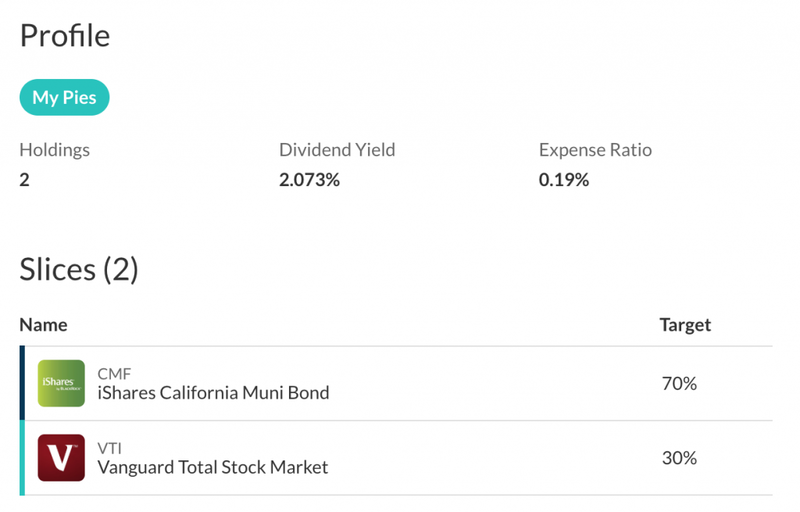 M1 Finance is also amazing for periodic investing (and is how I use it). When investing every paycheck, for example, M1 will automatically keep you allocated in the style you chose in your Pie. Like a 401(k), it minimizes idle cash and frees you to concentrate on other things. What are M1 Finance’s Limitations? M1 Finance’s biggest shortcoming compared to other robo-advisors is the lack of Tax-Loss Harvesting (TLH). With TLH, robos automatically sell securities at a loss and rotate into different securities, generating tax write-offs while maintaining a comparable portfolio. Additionally, M1 Finance doesn’t offer mutual funds. In most cases this is a small limitation; there are comparable ETFs for most mutual funds. M1 Finance makes all of their fund and equity trades in a limited trading window daily. There are no order types such as limit orders, so M1 Finance is unsuitable for short-term trading strategies. What else does M1 Finance’s Offer? M1 Finance has expanded beyond the initial hybrid robo-advisor and brokerage model. It now offers asset-backed borrowing options, a checking account, and a paid (and enhanced) M1 experience known as M1 Plus. For investors with a balance in their M1 Finance account, M1 also offers reasonable borrowing rates. If you have at least $10,000, M1 will let you borrow up to 35% of your portfolio at a standard low rate (which changes monthly). The best part: since it’s backed by your M1 Finance balance there are no denials and no additional paperwork. Just borrow the funds and pay them back on schedule. M1 Finance is also starting a ‘Spend’ checking account, with debit card. It features ATM Fee payback and no monthly minimum. There are no fees even with a low balance. M1 Finance’s main brokerage account, checking account and borrowing (other than interest!) are normally free. However, you you pay for M1 Plus you’ll gain benefits such as lower borrowing rates, more equity options, an additional daily trading window, and interest on the checking account. I’m completely earnest in this M1 Finance review since I’m a happy customer. I trialed M1 Finance as an option to put excess cash to work without dedicating too much time to the effort monthly. (I prefer to change my investment allocation only 1-3 times a year). It’s perfect in a hands-off role, and M1 Finance is an awesome option for beginners as well. However, the lack of many order types and limited trading window mean M1 Finance isn’t right for short-term traders. The most obvious missing feature in M1 Finance is the lack of Tax Loss Harvesting (TLH). M1 does take pains to minimize your taxes, but automating TLH would be a great feature on top of the current system. 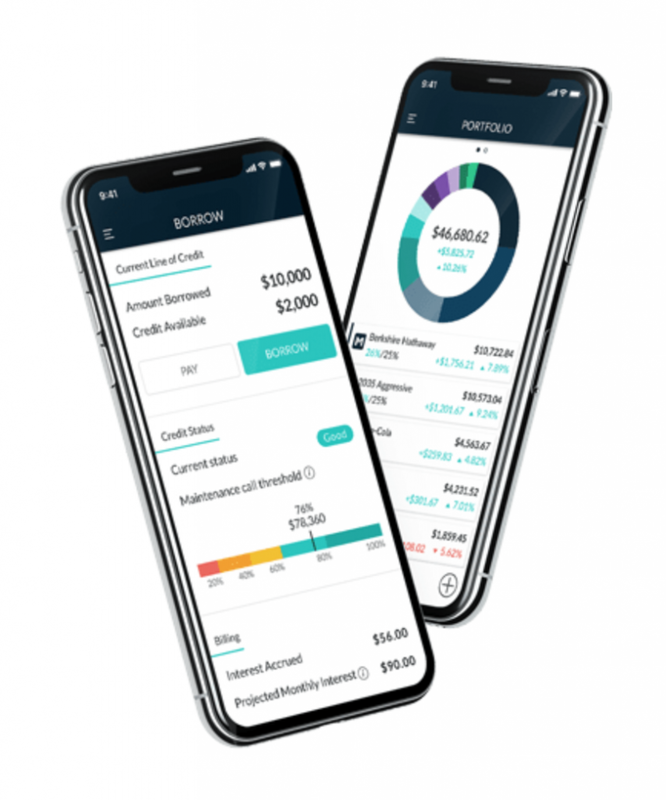 The Bottom Line: M1 Finance is an amazing, free robo-advisor for people getting started with investing and those who want to set it and forget it. Free trades, fractional shares, and easy asset allocation are awesome features that make investing simple on the platform. I highly suggest trying M1 Finance if you’re just getting started, or you want to reduce friction in periodic investing.